Partner and Chair of the Aviation group, Michael F. L. Allen, will be speaking at CARIBAVIA, the Caribbean Aviation Meet-up on, Aircraft Registration – The Best of The Best, in which he will explore the strengths of various jurisdictions including Guernsey, Isle of Man, Cayman Islands and The Bahamas. CARIBAVIA, scheduled for 12-14 June at Atlantis, Paradise Island, is a results-oriented platform for communication between the various stakeholders in the aviation, tourism and investment industries. The focus of the conference is on experience exchange, interaction and participation. Michael has professional expertise in corporate and commercial law, including derivatives law as it relates to the participation by Bahamian entities in financial derivatives transactions, real estate & development, aviation law and wealth management. 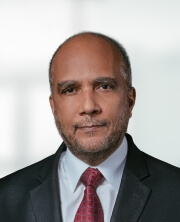 His practice involves acting as a transactional lawyer in commercial and aviation matters and issuing formal opinions on a wide range of multi-jurisdictional structures available for the conduct of business in and through The Bahamas, including structures connected to aircraft financing. Michael currently serves as chairman of the Bahamas Air Transport Advisory Board. He is the author and co-author, respectively, of the Bahamas chapter of Sweet & Maxwell publications Aircraft Finance: Regulation Security and Enforcement and Aircraft Liens and Detention Rights.